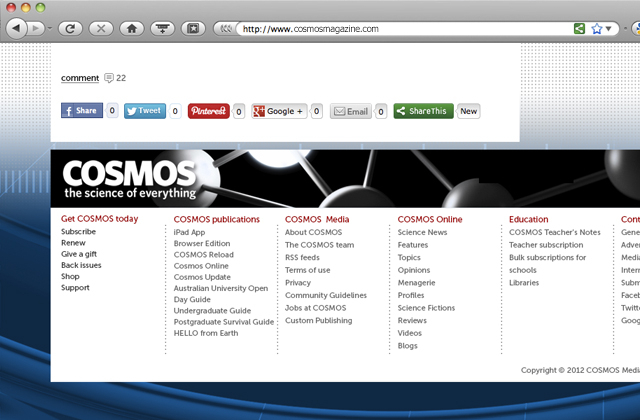 Website interface redesign for this popular magazine. 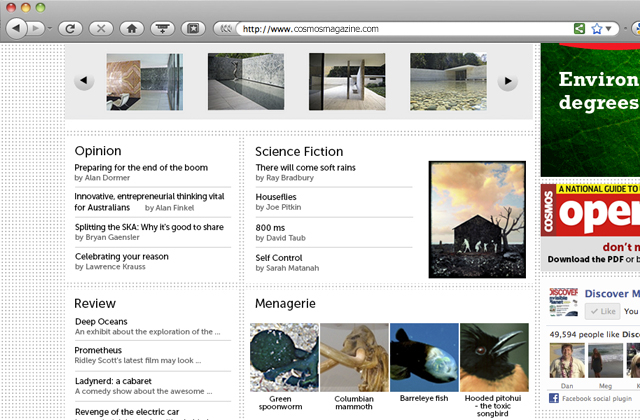 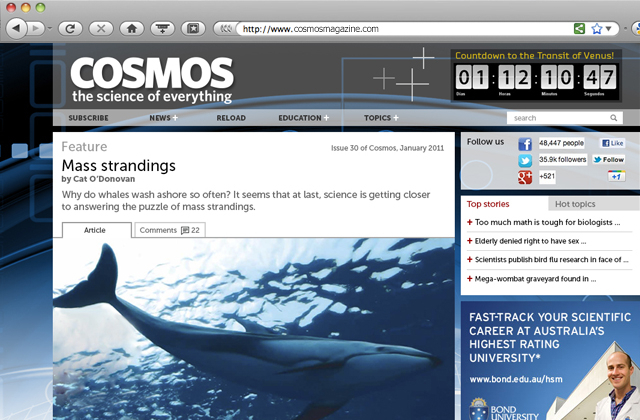 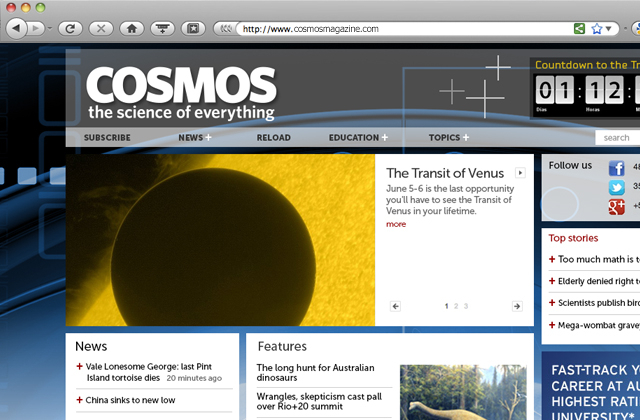 Cosmos is a leading literary science magazine, published in Australia but with a global reach. 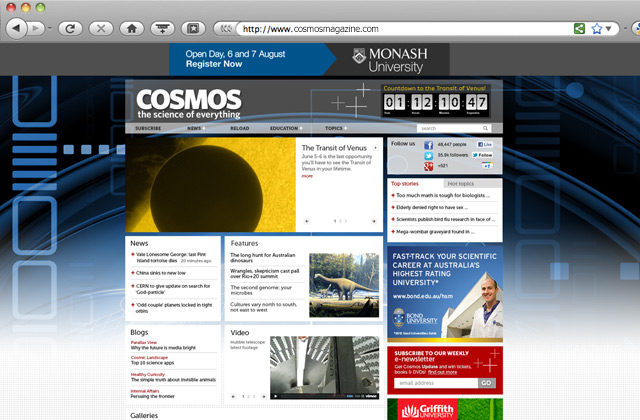 Collaboration with the in-house team to customise a wordpress theme.